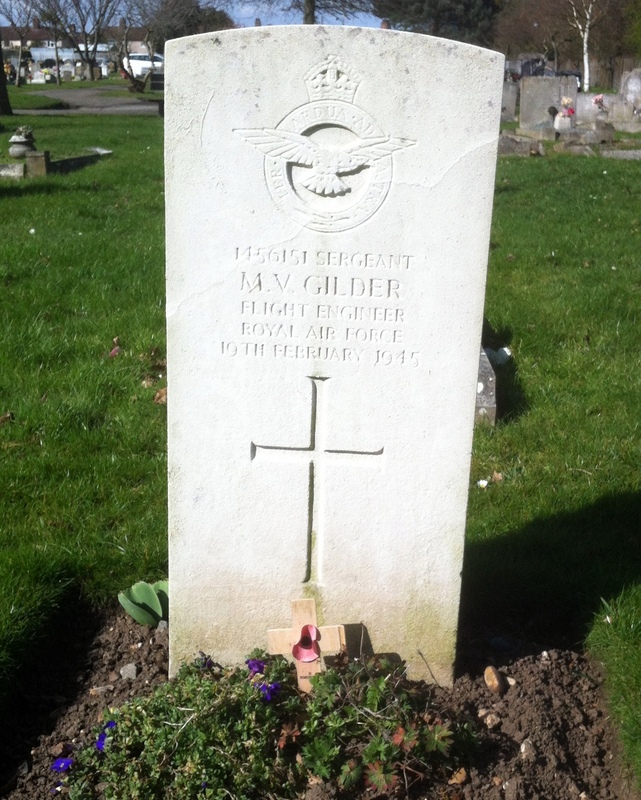 The photograph of Gilder was in my late father`s (Victor Sutcliffe) collection of photographs. Written on the back : Ken Gilder buried in Chadwell Cemetery. I visited the cemetery today to find a M.V. Gilder – must be the same man. I have no idea why he had this photo of a brave R.A.F man. Maybe he was my dad’s mate when he lived in Tilbury?. 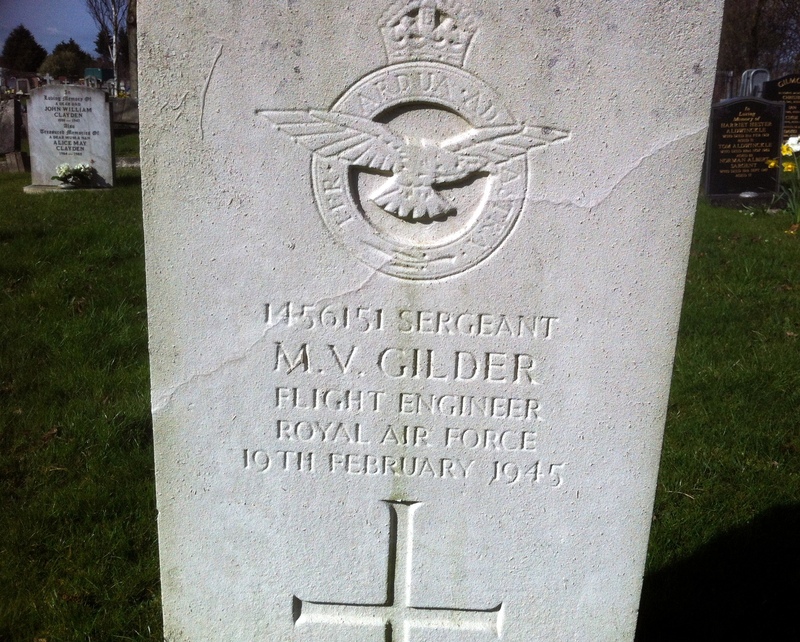 Maxell Veron Gilder was a Sergeant in the R.A.F as a flight engineer No: 1456151 and was killed 19th February 1945 and buried in Chadwell-St-Mary Cemetery that is all I know. 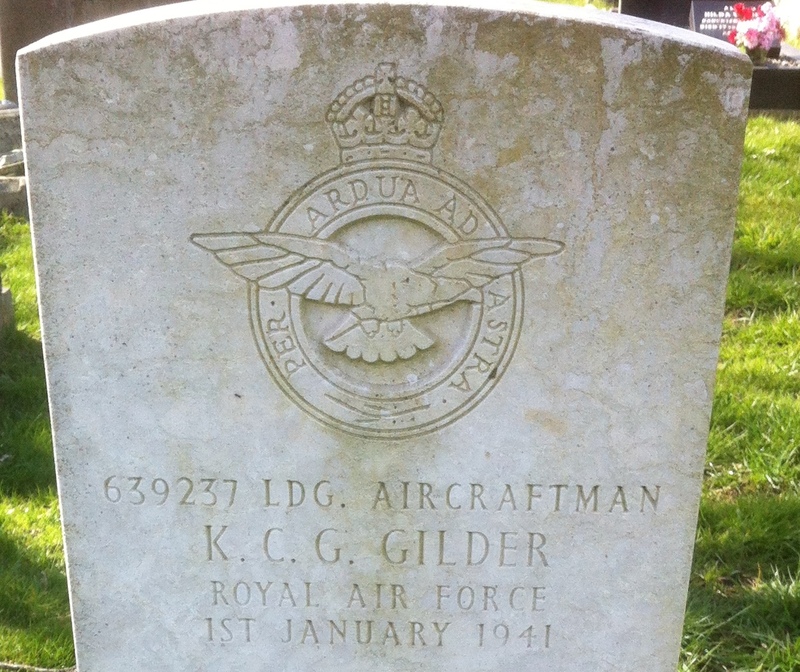 Please add any comments: I like to know more about both Gilders and any family, and was they related in anyway. Thank you for your information , you have no more details about why my dad had a photo in his collection ? by any chance. 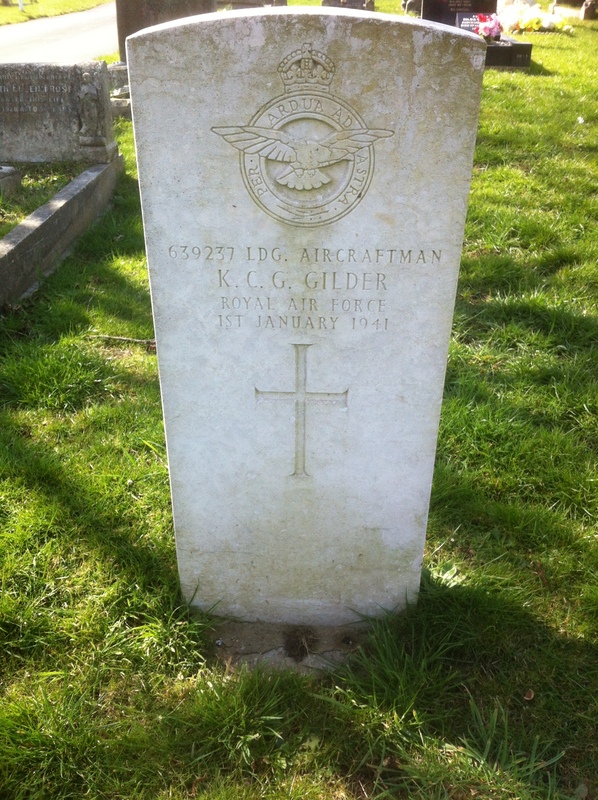 Hi Graham, Kenneth and Maxwell Gilder were my great uncles. They lived in Highfield Gardens in Grays. It was great surprise finding this photo on the Internet, thanks for sharing it. GILDER, KENNETH CHARLES GEORGE. 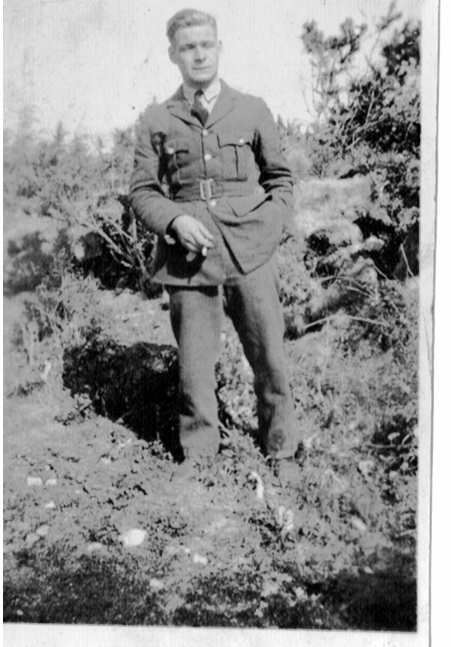 Leading Aircraftman Royal Air Force. Service number 639237. Date of death 01/01/1941. Buried Chadwell Cemetery Sec. 1. Grave 116. 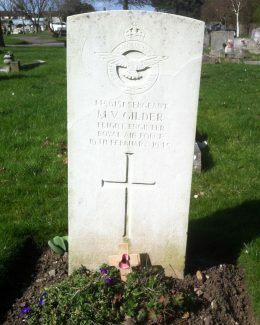 GILDER, MAXWELL VERNON. Sergeant Royal Air Force Volunteer Reserve. Service number 1456151. Date of death 19/02/1945. Buried Chadwell Cemetery Sec. 10. Grave 35. Hi Cliff , thank you so much I will have to go and find his grave and change photos, if they are brothers what a great loss to the family it must have been.